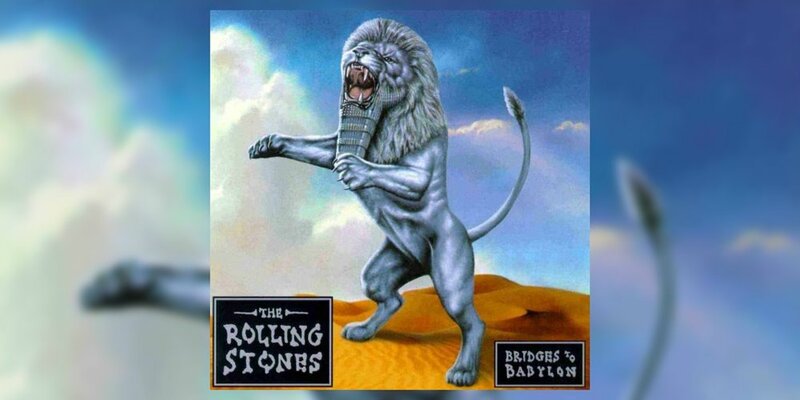 Happy 20th Anniversary to the Rolling Stones’ Bridges to Babylon, originally released September 29, 1997. The Rolling Stones are one of the longest-running and most prolific bands in the history of rock music, with a whopping 30 studio albums, 23 live albums, 25 compilation albums, three extended play singles, and 120 singles under their silver-buckled belts. No one hit wonders here. Every few albums, like well-designed neighborhood blocks, exhibit different phases of their career. Bridges to Babylon, their 23rd American studio album, resonates with the band's legendary sound mixed with the tepidness of the ‘90s. During the early part of their career, the Rolling Stones had more of a bluesy, rockabilly sound, which reflected their influences: Elvis, Chuck Berry, Bo Diddley, Little Richard. Their eponymous first studio LP, The Rolling Stones, dropped in 1964 and definitely embodies their musical influences and promising sound. They initially had a buttoned-up British look, like Eric Burdon and the Animals or even The Beatles, with the skinny-leg pants, narrow ties and neat hair. However, by 1966 they started to come into their own and develop their distinctive sound. Their 1966 release Aftermath featured the smoldering "Paint it Black" and "Under My Thumb," which were both hits and reflected their progressive sound. By 1967, they had become rock & roll personified. No more pretty boys. They were messy, nasty, mercurial and unapologetic—the true definition of what mainstream rock & roll was becoming. With the release of the Flowers collection and Their Satanic Majesties Request in 1967, they bit a little from their rockabilly roots, soul and The Beatles, but mashed that into their own sticky blend of rock music tonic. Mick Jagger's off-kilter voice matched his off-kilter looks and the rest of the band, including the man himself, Keith Richards, looked like they lived the lives they were singing about. Beggar's Banquet and Let it Bleed rounded out the ‘60s and established them as rock royalty. By the ‘70s, they had become rock music tastemakers and had hit after hit. In the early part of the decade, "Angie,” "Wild Horses" and “Fool to Cry” certified their ballad chops and"Doo Doo Doo Doo Doo (Heartbreaker)" and "Brown Sugar" exemplified their sizzling, raunchy rock & roll style. By the late ‘70s, they incorporated disco trappings with "Miss You," which is a masterpiece. Released in May of 1978 as a single from the Some Girls album, it hit #1 on the Billboard Hot 100. Mick and Keith were jamming with former Beatles keyboardist Billy Preston when they were inspired to write it. In the 1980s, the band extended their multi-platinum prowess, releasing five albums, three of which (1980’s Emotional Rescue, 1981’s Tattoo You, and 1989’s Steel Wheels) sold in excess of two million units. Three years after the arrival of 1994’s Voodoo Lounge, Bridges to Babylon was released in 1997, amidst an eclectic popular music scene comprised of various rap subgenres, glossy R&B, neo-soul, boy bands, alternative, and Britpop. Three singles—“Anybody Seen My Baby?,” “Saint of Me,” and “Out of Control”—were released from the album, which also featured Richards’ contributing lead vocals on a handful of tracks including "You Don't Have to Mean It", "Thief in the Night," and "How Can I Stop." "Out of Control” and "Saint of Me" were the singles off the album that were the hot tracks on the charts. Keith Richards performed three solos on it: "You Don't Have to Mean It", "Thief in the Night" and "How Can I Stop." As he proved with "Little T&A" from Tattoo You, Richards proved once again that he can indeed carry a song, with just as much quicksilver style as Jagger. While the shapeless "Flip the Switch" and "Low Down" are the weakest tunes on the album, all things are relative when it comes to the Stones, as even their weakest fare is the average band's certified gold. In the broader context of their expansive discography, Bridges to Babylon isn't their strongest offering, but that's not to say it's not a shimmering rose in their musical garden nevertheless. The album is like a pat on the back, instead of a handshake: reassuring, familiar and friendly, but not as certain. It leaves you guessing and wanting more. And as could have been expected, the next time they rolled out of the gate, eight years later with A Bigger Bang in 2005, they crossed the bridge and delivered with a bona fide bang.